Vehicle Lift Servicing, Maintenance & Repairs. 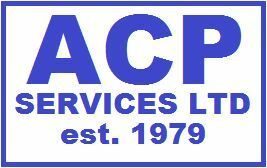 ACP Services offer vehicle lift servicing, maintenance and inspections. We cover all types of car & commercial vehicle lifts, Including mobile column lifts, brake tester calibrations and garage equipment. We have been servicing and repairing garage equipment for over 35 years, from all manufacturers. Tecalemit, Bradbury, Laycock, Stenhoj, Maha & Somers Totalkare are common lifts we repair, service and supply spares. A Vehicle lift Servicing & Inspection certificate will be issued with every inspection and calibration that is carried out, subject to the lift or brake tester being in a good safe working order. This gives you peace of mind for your staff using the equipment, and confidence for when your annual insurance inspections are due. All our brake tester calibrations include DTP software updates released by the DVSA FOC. We can offer contracts to cover all of your workshop equipment, please contact us for further information. If you only have one vehicle lift to service we will charge £175, however if you have a larger garage with more than one lift, we will charge £95 per lift thereafter. Occasionally depending on your location, we may need to charge mileage at 35p per mile, if you are a long way from one of our engineers. We have mobile garage equipment engineers that look after all kinds of garage equipment repairs and breakdowns. If you need new ropes, seals, chains or pulleys fitting then give us a call. Parts for many vehicle lift manufacturers are kept on the shelf or can be supplied the following day. Whatever the problem, we can usually help you. Want to book one of our Garage Equipment Engineers? If you would like to book a vehicle lift service, repair or brake tester calibration please contact us by filling out the short form below, one of our servicing team will be right with you. In the case of an emergency, such as a vehicle stuck in the air, please call us and we will do our best to help you! If you would like a vehicle lift servicing maintenance programme, please get in touch for a quotation.